Florida women representing 24 county Farm Bureaus received the Women’s Activity Award on March 31 at the 2016 Florida Farm Bureau Women’s Leadership Conference, March 31-April 2 at the Boca Raton Marriott. Recipients of the award were recognized for their contributions to their local communities and their work at improving awareness of agriculture through educational programming, leadership development and public outreach. 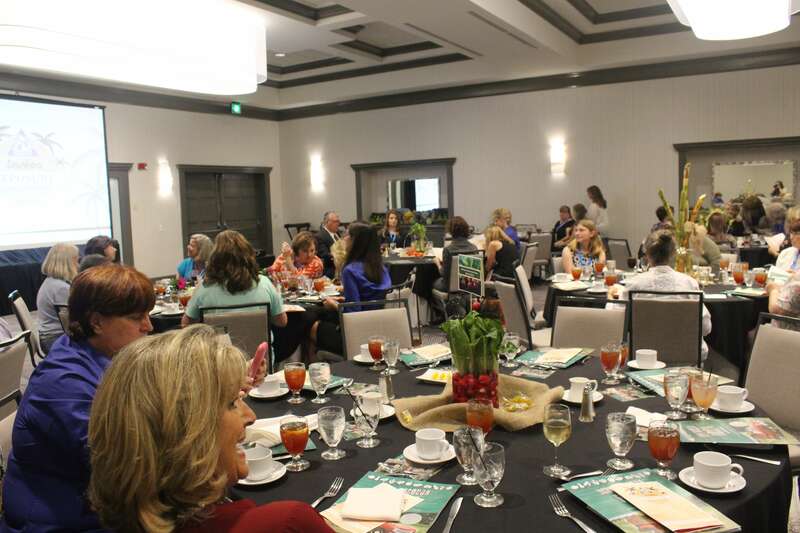 Florida Farm Bureau Women in the following counties were recognized: Bay, Bradford, Broward, Clay, Columbia, Duval, Hamilton, Hernando/Citrus, Highlands, Hillsborough, Jefferson, Lafayette, Madison, Marion, Nassau, Okaloosa, Okeechobee, Orange, Osceola, Putnam/St. Johns, Suwannee, Taylor, Union and Volusia. Florida Farm Bureau, the state’s largest general agricultural organization, represents more than144,000 member-families. We serve to enhance farm enterprise and improve rural communities. Photos: Individual award photo available for counties in attendance: https://www.flickr.com/photos/floridafarmbureau/sets/72157664549918974.